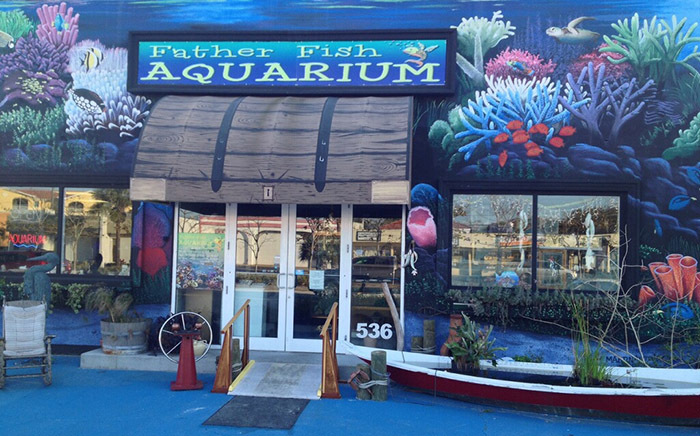 Earlier this month, Father Fish Aquarium in Venice won its case against the local code enforcement for its custom artwork. Lou Foxwell, also known as Father Fish, had asked a renowned muralist to paint the building a few years earlier without seeking the approval from the Venice planning board. As we've witnessed throughout downtown Orlando, local planning board and city council members claim the custom murals and artwork that flank the front or sides of buildings is viewed as a commercial message or signage, which must not exceed specific dimensions. Thankfully, the planning board agreed to extend a variance to Father Fish Aquarium, allowing the amazing mural to remain on display. It's all a matter of perspective. Fishy Business in Longwood had local muralist, Jeff Sonksen of Paint The Trail, utilize his talent by creating a large, predatory shark on the side of their building, yet the retailer does not sell them. Orlando residents will certainly recall the huge aquatic mural by Jeanette Schuerr which once covered the side of the Ace Rubber Stamp Company – now Little Saigon restaurant post-expansion – on East Colonial Drive near downtown. The line has been drawn in the sand. 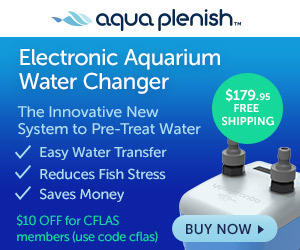 Although Father Fish won its battle, the war on art wages on.